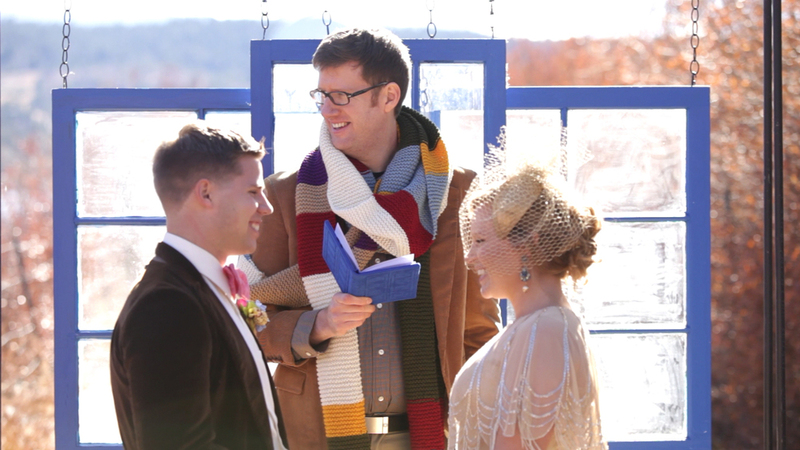 In honor of The Day of the Doctor - the 50th Anniversary of BBC's Doctor Who - this Throwback Thursday is dedicated to our "Geek Chic" interpretation of a Whovian wedding (originally published under our old brand, Jakfoto Films). 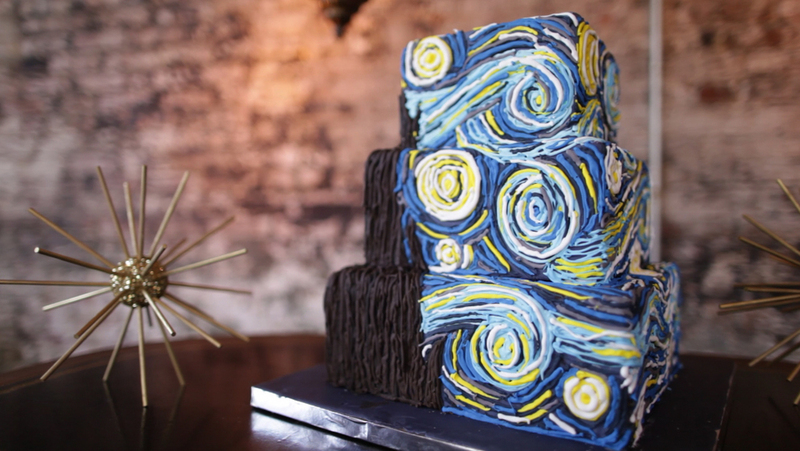 The sparkling gold and TARDIS blue decor are perfect for any glamorous celebration, but fans of Doctor Who will notice lots of subtle references to the television show: Gallifreyan print designs, a Van Gogh inspired cake, TARDIS keys, and portraits of the Doctor's many faces used as table numbers, just to name a few. My favorite part of planning this film was composing some very moving vows with quotes from the show. "Together, or not at all..."
When photographer (and fellow Whovian) Candice Benjamin and I started brainstorming about a glamorous wedding in honor of our favorite Time Lord, we had no idea how enthusiastically the fandom would respond. We were honored to be featured on sites like Green Wedding Shoes, When Geeks Wed, Anglophenia... we even received gifts from BBC America! This is our most popular video to date, and I think that's just fantastic. Be sure to check out Candice Benjamin's photos for a close look at all of the details, and check the list below to see who contributed your favorite touches. 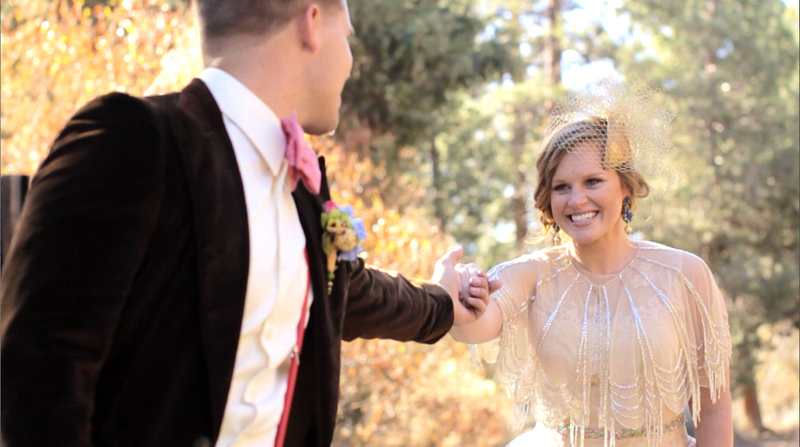 It took an amazing team of wedding pros to put together all of this magic! Music: "Doctor" by Chris Bartels/Anthem Falls Music Purchase this track: Click here! I'm excited to share more Geek Chic inspiration in the future... What fandom-inspired wedding theme would you like to see?